COLUMBUS, Ohio, Nov. 10, 2016 /PRNewswire/ -- Nationwide's longstanding commitment to veterans is tied to a shared connection that the men and women who have served our country have with our own mission of protecting and serving others. That shared mission combined with the diverse skill sets and strong work ethic veterans possess is why Nationwide plans to hire at least 1,000 more veterans by the end of 2020. In 2012, Nationwide set a goal to recruit and hire 1,000 veterans. In April, Nationwide reached it goal when veteran, Amy McBride, joined the company. McBride was hired as a nurse case manager within the commercial insurance claims office in Harrisburg, Pa.
"The same integrity that is drilled into you in the military is very important in my job at Nationwide," said McBride. "And the emphasis that the military puts on punctuality, teamwork and respect applies to my role as well." "Veterans bring a wealth of experience to the company," said Gale King chief administrative officer. "Having a diverse workforce is a priority to us. Veterans bring strong leadership, integrity, teamwork and, in return, this provides a way for our company to give back to those who have served our country." Nationwide plans to hire veterans to work in a variety of roles in several office locations across the country. 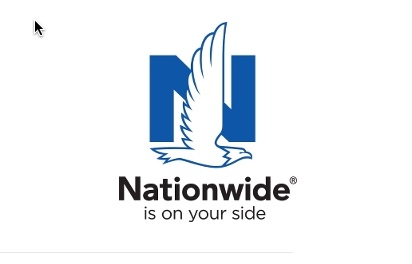 Members of the military and veterans are encouraged to learn more about Nationwide by visiting the company's career page, viewing potential career opportunities and submitting applications online at www.nationwide.com/careers. "We are excited to add 1,000 more veterans to our workforce," said Rocky Parker, Nationwide's chief talent acquisition officer. "Part of what makes us a great company is that we value making an impact within our company and within the communities we serve. Ultimately, we're committed to bringing talent on board from a variety of backgrounds and perspectives. Our military veterans offer unique skills that make them a great fit for Nationwide and our members." "For having served in the military, our soldiers, sailors, airmen, and Marines are well prepared to be successful in any workplace," said U.S. Congressman Steve Stivers. "In its concerted effort to hire more veterans, Nationwide is not only honoring their service to our country, but also making a very wise business decision."